A man shot four people, including Rep. Steven Scalise, as the GOP Congressional baseball team practiced Wednesday morning. The gunman was shot by police and killed. News4's Jim Handly and Julie Carey report. 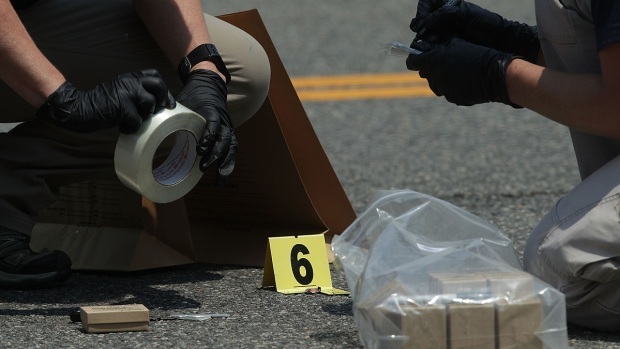 A gunman who police say opened fire on a congressional baseball practice Wednesday morning in Alexandria, Virginia, shooting House Majority Whip Steven Scalise and three others, died following a shootout with law enforcement officers, President Donald Trump said. Witnesses, including as many as 22 members of Congress who were at the field for the early-morning practice, described a terrifying scene, with the gunman reloading while standing on the field and the wounded congressman "screaming for help." Scalise, a Republican from Louisiana, had surgery at MedStar Washington Hospital Center after being shot in the hip, the hospital said. The other people who were injured were: Matt Mika, director of government relations for Tysons Foods, who is in critical condition after being shot twice in the chest; Capitol Police Special Agent Crystal Griner, who was shot in the ankle; and Zack Barth, an aide to Rep. Roger Williams (R-Texas), who was shot in the calf. Rep. Roger Williams (R-Texas), who dove into a dugout for cover, suffered a sprained ankle. Capitol Police Special Agent David Bailey suffered a minor injury and was treated and released. MedStar Washington said in a statement Wednesday night that Scalise remains in critical condition and will have to undergo more surgeries. "The bullet travelled across his pelvis, fracturing bones, injuring internal organs, and causing severe bleeding," read part of the statement. Trump visited Scalise and Griner at MedStar Washington about 8:45 p.m., a senior administration official confirmed to NBC News. The president spoke with Scalise's wife as well as Griner and her wife. A senior administration official said she appeared to be doing OK.
First lady Melania Trump presented bouquets of white flowers to to both Griner and Scalise's wife. The president tweeted after the visit, "Just left hospital. Rep. Steve Scalise, one of the truly great people, is in very tough shape - but he is a real fighter. Pray for Steve!" Trump, speaking before noon, called Scalise a friend. "He’s a patriot and a fighter," Trump said. "Steve, I want you to know, you have the prayers of not only an entire city, but an entire nation behind you and, frankly, the entire world. Please take a moment today to cherish those you love, and always remember those who serve and keep us safe." At a mid-morning press conference, Tim Slater of the FBI said it was "too early to tell" if the members of the GOP baseball team "were targeted or not." The FBI took over the investigation. Witness Falisa Peoples described the shooter as a white man, dressed in T-shirt and shorts. His demeanor was "calm," she said. "He didn’t say anything -- he was just shooting," said Peoples, a fitness instructor at the YMCA location right next to the ball park. "They were shooting at each other. I thought it was some exercise." Scalise is in critical condition. He was in "good spirits" earlier, and spoke to his wife by phone, according to a statement from his office. Mika was shot twice, including through one lung, NBC News reported. He is being treated at George Washington University Hospital in critical condition, law enforcement sources told News4. Late Wednesday, News4 learned Mika was on a respirator, but had given the people around him a thumbs up. The Capitol Police officers "have not suffered any life threatening injuries," said Capitol Hill Police Chief Matthew Verderosa. "The officers acted, I believe, heroically today." Rep. Jeff Duncan (R-S.C.) said he was leaving practice early when he had an interaction with someone who asked him whether the team playing was a Republican or Democrat team. The Republican congressional baseball team practices daily at Eugene Simpson Stadium Park, located off East Monroe Avenue in the quiet Del Ray neighborhood. Many other congressmembers were there for practice shortly after 7 a.m., including Paul and Sen. Jeff Flake of Arizona. Hodgkinson started shooting from behind a chain-link fence along the third-base line. He took aim at Rep. Trent Kelly, R-Miss., on third base, but missed him. Then he shot Scalise, who was on second. Then he shot Barth, who was in the outfield. Though shot in the leg, Barth managed to run to the first-base dugout, where Capitol Police officers were stationed. The police officers began shooting, and were soon joined by Alexandria police. "We were doing batting practice, and all of a sudden, someone came with a rifle. I think he had handguns as well," said Flake, a Republican. The FBI said federal officials were tracing two weapons, a rifle and a handgun. "He had a lot of ammo and shot, it looked like indiscriminately, across the field, hitting a member and a couple of staffers," Flake said. "They were laying down, but then I’m seeing the shots hitting the dirt, and they’re trying to make a difficult decision: Do we lay here, stay low and hope he doesn’t hit us … or does the shooter just advance and come close and shoot you?” Paul said. “Scalise was on second base, and was crawling out, leaving a trail of blood,” said Rep. Mo Brook (R-Ala.) in an interview on CNN. Other members of Congress helped him, including Rep. Brad Wenstrup (R-Ohio). He "started doing what you need to do to stop the blood loss,” Brooks said. Witness David Woodruff said he was running past the field when he heard 12 to 14 gunshots, a brief pause and then four more shots. Woodruff said he ducked into a garage and called 911. "Other witnesses here told me that they heard upwards of 60 shots. Again, it sounded like there was a rather lengthy gun battle between those Capitol protective detail and the assailant," Woodruff said. He said he saw a U.S. Park Police helicopter depart with two victims and at least one ambulance leave with police protection. Reba Winstead lives near the scene of the shooting. She said she heard at least 30 shots as she was getting her daughter dressed for school. "Boom, boom, boom, boom for the first 10 or so, then there was a pause and then they started up again," Winstead said. "It was just a calm morning, and then all of a sudden there's gunfire in our neighborhood." Witnesses at a nearby YMCA say bullets from the shooting pierced the front windows of the busy facility, but none of the dozen or so people inside was injured. The branch is closed now; it's not clear when it will reopen. Another witness to the event, Benjamin Childers, posted a live stream of the aftermath of the shooting on Periscope. “We had three members of Congress take shelter in our apartment,” he said as sounds of emergency vehicles could be heard. Childers later told NBC News he was on his balcony when he heard the gunshots break out. He saw the three men running toward his apartment and brought them inside, where they called their families to let them know they were OK. In response to the shooting, Capitol Police "deployed a robust police presence" throughout the Capitol, a spokesman said in a statement. All Capitol complex buildings remained open, but the House adjourned until 10 a.m. Thursday. The Congressional Baseball Game, a bipartisan tradition, will go on as scheduled Thursday, according to Rep. Martha McSally (R-Ariz.). The game dates back to 1909, and is one of the capital’s most anticipated events of the summer, with members of Congress sporting the uniforms of their favorite teams as the two parties face off. Metropolitan Police Department officers will provide security at the game, Police Chief Peter Newsham said on Twitter. "Our thoughts are w/those recovering. Tomorrow, we'll do our part to ensure the safety of everyone attending the Congressional Baseball game," Newsham said. It's become a charity fundraiser. Last year, Republicans broke a long losing streak to beat the Democrats 8-7. Speaker of the House Paul Ryan addressed members of Congress a few hours following the shooting. "There are very strong emotions throughout this House today," he said. "We are all horrified by this dreadful attack on our friends and on our colleagues and those who serve and protect this Capitol." 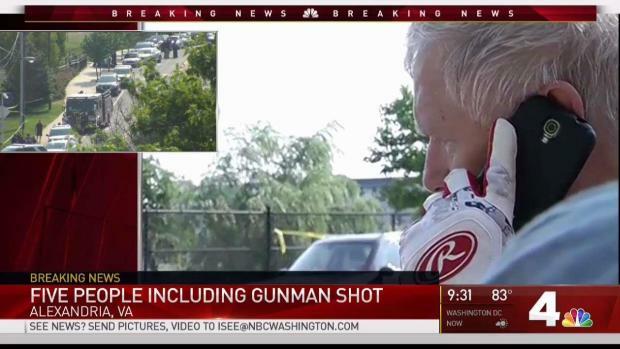 A gunman opened fire on a Congressional baseball practice early Wednesday morning in Alexandria, Virginia. Five people, including the shooter, were shot during the attack. House Majority Whip Steve Scalise was among those shot. 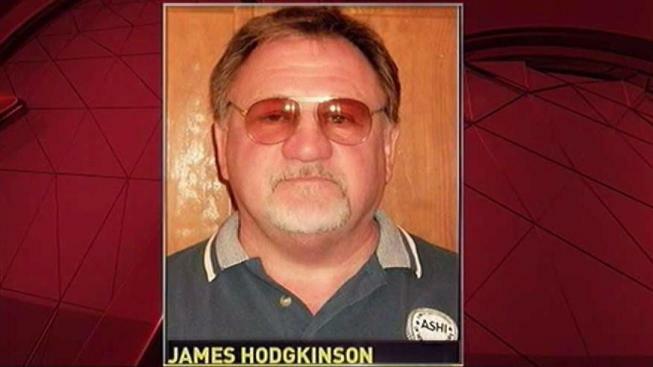 NBC News sources identified the shooter as James T. Hodgkinson. He was shot by Capitol police and later died of his injuries, President Trump told the nation from the White House. His last comment was met by a standing ovation.